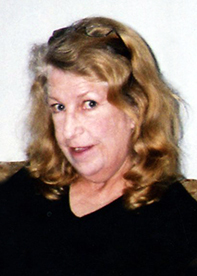 Mary Cecily Outlaw, 72, of Port Neches, died Sunday, March 31, 2019. She was born on July 29, 1946, in San Francisco, California, to Rosalind and Rafael Bricca. Survivors include her husband, David Outlaw of Port Neches; son, Christopher Martin of Santa Rosa, California; daughter, Nicole Martin of Novato, California; grandchildren, Joshua, Quinn, and Elle; and sister, Nancy Stone of Los Angeles, California. She was preceded in death by her parents. Cremation arrangements for Mrs. Outlaw will be handled through Broussard’s Crematorium, under the direction of Broussard’s, 505 North 12th Street, Nederland. Such a gifted, talented gal you were. I like to remember the fun we had at the Japanese Restaurant. Fly high and paint the skies in Heaven. Til we meet again. Cecily was a very sweet lady to my mom and dad when they lived in the neighborhood. I will always remember you when I look down the street how you always kept your yard immaculate. Rest in peace Cecily.